Used Nissan Note Review - 2013-2017 | What Car? 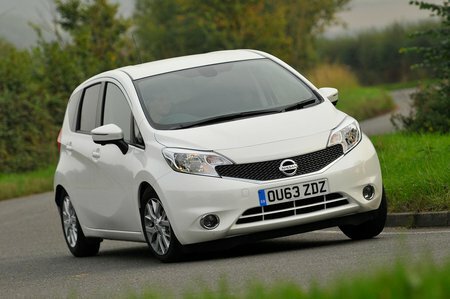 What's the used Nissan Note hatchback like? The recipe for the Nissan Note is quite simple. 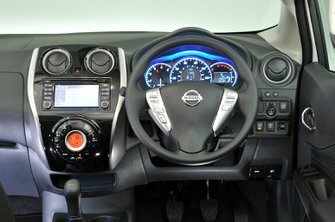 Nissan took the Micra, stretched in both height and length to increase interior space and turned it into the Note, a more practical small car for families. The Note competes with the likes of the Honda Jazz, Toyota Yaris and Skoda Fabia in the ever busy small car market. Engines start from an entry-level 1.2-litre three-cylinder petrol with 79bhp or 91bhp with a supercharger. There is also an 89bhp 1.5-litre diesel for those who value low CO2 emissions and good fuel economy. Inside, the Note is highly practical for a vehicle with a relatively small footprint. There’s a big boot that comes with an adjustable boot floor in all but the entry-level Visia model. It removes the annoying load lip and enables longer items to slide into the load area. There’s plenty of room in the front and head room is exceptional, while those in the rear are also treated to heaps of space. Top-spec Notes can be had with a sliding rear bench that gives you the flexibility of having more leg space or increase boot space. Parents of young children will also appreciate the wide doors, so putting a child in the car seat is that bit easier. However, the Note is not that much fun to drive. There’s too much body roll when going down a country road and it’s also susceptible to side winds because it's a tall car. The steering is light for easy parking but it’s precise enough on faster roads. The ride is a bit on the firm side and drain covers can cause the car to shimmy. It does settle a bit on faster roads, though.